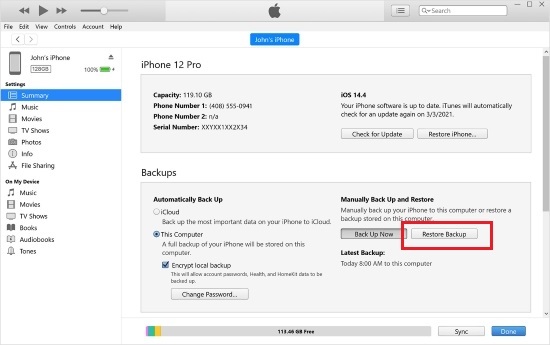 Don't be alarmed if you accidentally delete or unknowingly lose important messages from your iPhone, iPad or iPod touch. Like Joy, iTunes backup is a relief, with which you can get extra chance to restore needed data. Considering that different users have different preferences, next we are going to showcase every step for 2 practical solutions. You can choose what you think is the best way to restore messages from iTunes backup at your own will. Step 3: Confirm which iTunes backup is useful and press "Restore" button to start to retrieve it. Note: This easy-to-operate and straightforward solution can quickly help you restore iTunes backup. However, you should also bear its drawbacks in mind: 1) erase previous iPhone data; 2) cannot selectively choose messages for recovery; 3) offer no access to preview files before restoration. 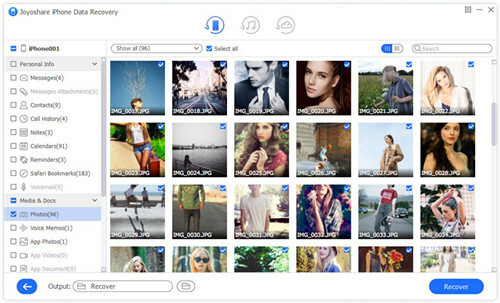 Here, Joyoshare iPhone Data Recovery, is a hassle-free and sought-after iOS message recovery tool. 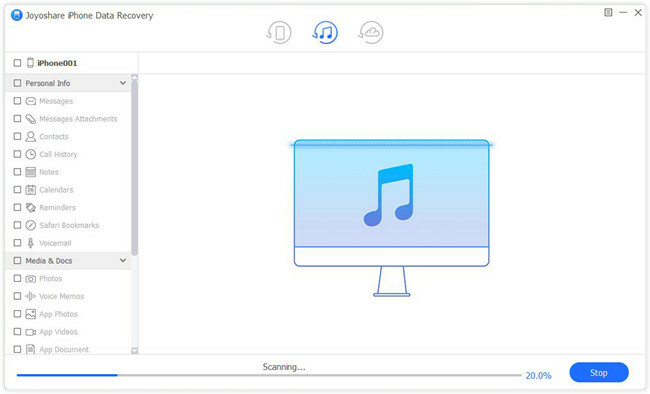 It performs well in scanning and analyzing lost messages from iTunes backup at lightning-fast speed. By making the most of it, you will find that it generates no additional copy for scanned iOS data, which thus taking up less disk space when compared to its rivals. 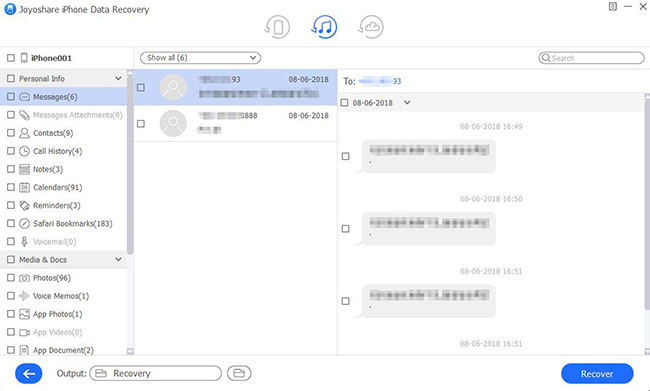 Interestingly, this brilliant program also has powerful ability to connect multiple iOS devices at the same time and facilitates to preview photos, messages, audios, videos, etc. in real time before recovery. Furthermore, you can get chance to recover data in the form of HTML or CSV, or decide whether to convert HEIC to JPG. Apart from messages, more 20 kinds of data types, like photos, WhatsApp/Viber/Kik data, notes, reminders, Safari bookmarks, calendars, etc. can be supported as well. 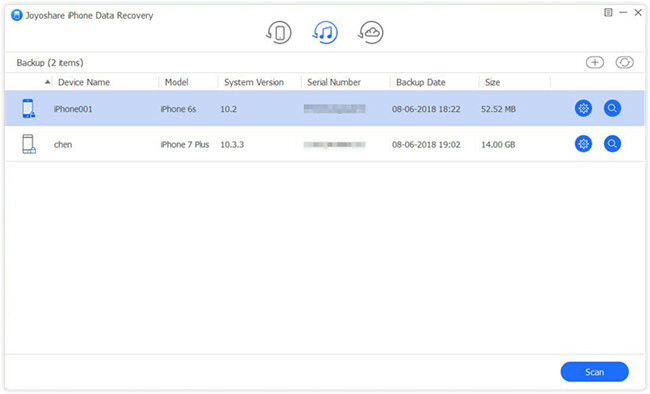 As long as your iPhone data, messages included, has been synchronized and backed up to iTunes, you have right to extract them under the help of Joyoshare iPhone Data Recovery. Here we take its Windows version as an example to guide you detailed operations. Double click Joyoshare iPhone Data Recovery on your desktop to get it run. Then go for the top menu bar to change recovery mode to "Recover from iTunes". Joyoshare will display all your synced iTunes backups in order with backup date, file size, device model and more info shown explicitly. Go forward to pick up the most relevant backup and tap on the "gear" icon behind it to confirm data types. To restore messages, you can only tick "Messages & Attachments". Afterwards, click "Scan" button to begin to fetch files. Wait a moment until Joyoshare finishes scanning your selected iTunes backup. Then you are allowed to look through all recoverable results one after another. Go to "Messages" category to mark what you need. Or you can filter out needless data by choosing "Only show the deleted" option. Lastly to export your messages, simply hit the "Recover" button at the right bottom.